Under bujitsu, it is basic criterion to question actual fighting performance capabilities as equal to its ability. The goal of this article is to clarify the birth of different jiujitsu disciplines, their branching out, as well as to clarify the path to unification of jujitsu disciplines under the efforts of the Kodokan, and to explain the principle of free competition under the merit system as well as to further contemplate the reasons and meanings of Jiyuradori (Randori). The basic forms of jiujitsu disciplines were formed in Sengoku Era (between 1477 to 1573) and were further modified in the early stages of the Edo era (between 1600 to 1650). Such form, of disciplines (ryu), included Sekiguchi-ryu Takeuchi-ryu Youshin-ryu and Kitou-ryu and were widely utilized by the different clans the Edo era and were continued to the Meiji era ( around 1868). These disciplines are considered the main original forms of jiujitsu. Master Jigoro Kano whom established the Kodokan in 1868, studied Tenshinmayo-ryu and Kitou-ryu which are a branch form of the Youshin-ryu and from these two main disciplines he was able to learn the essence or jiujitsu. Ryu-ha (form of disciplines and group) is a formal organization and its main purpose is to access technique. Conditions for existence of such organizations can be described as: (emergence of genius like expert or master), (techniques are systematized), (practice methods between teacher and student are established). Also the head of such a ryu-ha must obviously be a master in his technique and ability. Where disciples are to be ranked (ranked and documents issued) the disciples, ability were considered first. (Other than ability, other considerations were given to age, blood relation, obligation, contribution and donations). The basis for selection under ability has basically ascended from the prior years or war between the different clans when actual battle did take place and where actual fighting ability was highly regarded as the basis of bujitsu. In addition, the originators of such disciplines as the Sekiguchi-ryu and Takeuchi-ryu as well as the other oriental discipline groups had always traveled throughout the country in search of the best talent and through such actual battles were able to further formalize the ryu-ha involved. As such, ability being the center of focus was natural. Throughout the mid-Edo era, several ryu-ha/s were formed into organizations as well as several branch disciplines. The social dynamics of the time for such an event to take place is said to be the structure of Bakuhan (Shogunate-Clan structure). Under this structure, the clan’s military power was under control and supervision of the shogunate, however such military strengths and methods were kept highly secret. As such, each clan was able to choose the discipline type of the bujitsu form, and the selected discipline was considered as belonging to the clan and not the individual. In addition, agreements of the bujitsu master and the clan were for only one generation and there were no guarantees that the clan would continue to use the same discipline after the agreement was fulfilled. In such conditions it was impossible for one type of discipline to spread throughout the country and for the most part, one clan, one discipline was the norm and this trend spread rapidly. Reportedly, fifty-eight clans and the type of discipline utilized, found that eighty percent of the clans were the sole users of one type of discipline from the sixtyeight types available at the time. The clan leader obviously searched for a highly skilled master (teacher) for his clan, and the jiujitsu master had to market his technique as original and superior to others. It is considered that as a jiujitsu-master being contracted by a clan had the most monetary stability and status and such a position was sought out by most jiujitsu masters of that time. From such climates free competition between different disciplines occurred and from the original few types of discipline that were available in the early Edo era (1600?1650), the number grew to approximately 200 discipline types by the end of the Edo era (1800?1868). 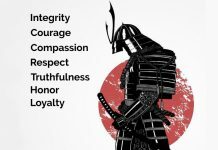 (It is said that over 750 discipline types existed for Kenjitsu (sword display) Reportedly, most of the new disciplines were for one clan only, however, all the new disciplines were bi-products of the original discipline and its influence was obvious. Where they did not give such discipline the original name and rather gave it a name of its own as well as its own structure is an example of the jiujitsu climate of the time, where the original discipline was modified due to free will or by necessity. As a matter of fact, frequently a dissatisfied highly ranked disciple would move away from the original discipline studied and take up a new discipline or make a new discipline and undertake action on his own. Especially during the mid Edo era, there were many jiujitsu experts whom would study two or even three types of disciplines. On the other hand, during the mid to late Edo era, known as the “tahei no yo” period, most bujitsu starts to depart from the actual fighting scene and would become more of an art form. 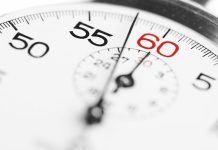 Each group started to exemplify the need for spiritual principles, and for a short time enters a more extreme and self-satisfying era where technique based ability was less important. However, in the later part of the Edo era, due to the threat from overseas and several riots from the farmers, the shogunate itself started to promote bujitsu and the discipline groups would start to reflect its own actual fighting capabilities once again. In such climate, inter?discipline matches would become popular. At the time, the technical contents of the jiujitsu disciplines were basically taught and passed on by “Kata” (form). 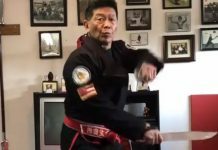 “Kata” was based on actual fighting techniques and were patterned and served well in the teachings between master and disciple. “Kata” utilized were dependent on the level of the disciple and for the advanced. a high level “kata” could be taught and the master could know how far the disciple has progressed with this patterned “kata” method. In addition, this method was suited to leave such information to later generations in its original form. However, at times where “beauty” was pursued it became more artificial and this was considered dangerous as it would distance itself from the basic requirement of bujitsu which is actual fighting capability. As such. there were no alternative methods to determine which disciplines were superior other than the inter-discipline matches. With such events the basic “actual fighting capability” would return in the form of “inter-discipline matches” which fueled the free competition among the discipline types of that time. From the viewpoint of “actual fighting capability”, consolidation of the overly fractionalized discipline types can be started to be seen. When Kodokan Jyudo (judo) was established in 1877, it was one of the discipline forms in the world of jiujitsu. From the end of the Edo era to the early parts of the Meiji era (circa 18501880) jiujitsu as a whole was suffering. However the main discipline types still remained and the police as well as the town dojos (martial art halls) and schools each taught jiujitsu on their own. The Kodokan taught mainly school students through its higher ranking disciples but were still on the level of other discipline groups as an organization. The greatest chance for the Kodokan to establish itself came when the “Dainihon Butokukai” (herein referred to as Butokukai) established in 1890, and its implementation of rules and regulations for the jiujitsu matches in 1899 and regulations for “jiujitsu-kata” established in 1906. Butokukai was established as the governing body of the different types of bujitsu by high ranking government officials. military personnel and policeman to “maintain the samurai spirit” in the Meiji era and the new government system it brought to that era. The Kodokan was an original member from the era and the commencement of the organization occurred in 1905, Master Kano received the degree of jiujitsu master of the governing body after Youshinryuis Hidemi Tozuka and Shiten-ryuis Kumon Hoshino. He also acted as committee chairman of regulatory committee for the judging and regulation pursuant to the matches and kata disciplinary. In the committee the main ryu-ha and its masters were present and heated discussions took place but in the end, the methods that the Kodokan had already been utilizing were generally selected. The main reason behind this is general acceptance was that master Kano was able to theoretically add value to jiujitsu in a physical education form. In 1889, master Kano had already lectured on such contents at the Dainihon kyouikukai (Japan education committee) under the title of “Judo and its educational value” (translated). It is also viewed that this lecture was in response to the ministry of education’s adverse recommendation to the physical education board based on its studies of “The appropriateness of Bujitsu being an educational material” which concluded that “Bujitsu is unsuitable for school education material” in 1883. The lecture is separated into sections such as “Judo Physical Education”, “How to compete with Judo” and “Judo and Mental (spiritual) Development” however. especially the Judo Physical Education section seeks new correlation’s between judo. physiology and safety. Butokukai from its conception had mainly recruited policeman as members, however after the initial years it changed its direction toward school related personnel. This was an effort to make bujitsu enter into the classes of physical education. (In later years, Butokukai establishes “School of Bujitsu” to build a basis for educational personnel) In summary, both the Kodokan and Butokukai were very similar to in its quest for jiujitsu to become a modern sport in the new era. As it is well known, Master Kano was not only an established jiujitsu expert: but also an elite whom lead the educational and cultural changes of that time period. The Butokukai recognize Master Kano as the most appropriate selection to lead. As time progressed other famous jiujitsu experts all agreed to master Kano’s thoughts on Judo’s acceptance as a modem physical educational sport and gradually were absorbed and unified under the master’s vision. It can be said that under the stipulations and criterion under the government’s organizing body Butokukai, the Kodokan unifies the jiujitsu sector of the organization. In addition to the ability to stipulate theory, Kodokan judo actually integrates theory with actual performance (actual fighting) and this was its principle point. This is well displayed at the Kodokan’s performance in the “Jiyuradori method”. Opponents each seeking to make “waza” (technique moves to each other. This “randori was also utilized by other jiujitsu disciplines but Kano’s theory to randor was “safety”, physical strength development and balanced development” as well as “enticing interest in the student”. It is widely known that even as such. safety was especially prioritized and “atemi (hitting)” and “hand and toes and it joints” as well as “wrist and ankle” targeted “wazas (techniques)” was excluded. If there were a no-rule bujitsu match the loser would either be injured or in the worst case, even die. As such, a no-rule actual fighting would never be accepted in a physical educational structure. (By this stand point, the “kata” formed in the Edo era can be said to be useful) In the lecture mentioned earlier, “Judo and its Educational Value”, master Kano actually demonstrated in front of the attendees “randori” utilizing young men and said “As you can see and understand. it is not dangerous and it is very good exercise for the body, and mind”. 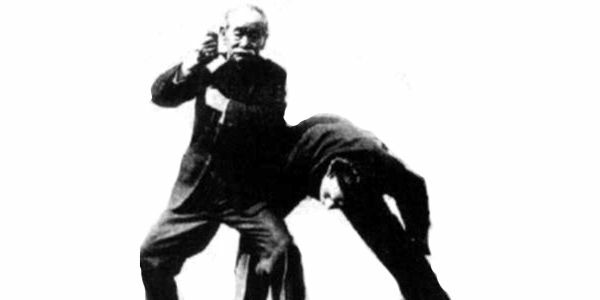 By these methods, the significance of “randori” is that it enabled the individual to test his actual fighting capabilities and techniques freely”. In other words, “randori” guarantees “freedom” within the stipulated rules. This also has similarities of modem sports and its free competition style which were born and spread throughout the world by England in the later part of the 19th century. As Kangawa expresses ” The conception of the Judo physical education method not only adds qualitative properties to jiujitsu but also the physical randori method brought judo to the modern sporting competition scene. Hence, the development in Japan and internationalization of the Kodokan can be directly attributed to this reason. ” In summary, the unification of the different disciplines were made possible by making jiujitsu a free competition sport, based on safety. In fact, in the multi-discipline jiujitsu matches where the Kodokan was competing, the “jyu-radori” really revealed its strength. For example, at the bujitsu competition held at the police headquarters in 1885, it is said that the Kodokan dominated the Tozuka-group Youshin-ryu whom were the main powerhouse at the time. These matches were held to determine the jiujitsu master for the police headquarters as well as to determine the real ability of the different discipline types. According to the notes of Hajime Isogai, most of the “wazas” utilized in this tournament was ashibarai, kouchigari, hizaguruma. ouchigari and kaeshi waza, basically known as kowaza (small waza) and this light footed but perfected action dominated the osotogari and newaza utilized by the Tozuka?group Youshin?ryu. It proved that not only tenacity but the fast body action and movement is the most required necessity for Kodokan Judo. The fast body action and movement can only be developed through free “randori” practice and this shows that the Kodokan had already been employing “jyuradori” in its practice methods at that time. In the later years, the Kodokan continues to demonstrate its dominance in the bujitsu matches held by the police headquarters, unfortunately the rules of such matches have never been made clear. The rules are clarified for the first time in 1899 when Butokukai rules and regulations are established and with similar stipulations, the Kodokan judo “randori” matches regulations in 1900. However. due to the matches in 1880. it was decided by either nagewaza (throwing techniques) or newaza (ground work techniques), it can be assumed that the dangerous “atemi waza” as well as the “kansetsu waza” (joint?locking techniques) were already excluded and more emphasis on safety had been in place. It is highly possible that the rules and regulations or modified version of the Kodokan’s “jyuradori” were utilized for such public matches. as safety is the foremost important criteria of such events. As such, since the disciples of the Kodokan were already engaging in jyuradori, they had the distinct advantage. In this way, not only by theory, but also the jyuradon methods of “actual fighting capability” of the Kodokan gradually gains acceptance and makes further advances to the unification of the jiujitsu world. As explained, the Kodokan’s jyuradori enabled the different types of disciplines to engage in matches and compete when Jujitsu was in its unification period and functionally served a major role. In addition, the basis was “safety”, “enhancement of strength” and “interest” which are values required for modern sports. With jyuradori the free competition principles of judo has been unified and are now spreading its stage to the international community and like other sports, are able to enjoy the everlasting free competition. Original text: Judo (by Kodokan) 1998 December Issue.